The Teen Titans Leadership Challenge of Champaign County took place on March 5 at the Madison Champaign Educational Service Center. 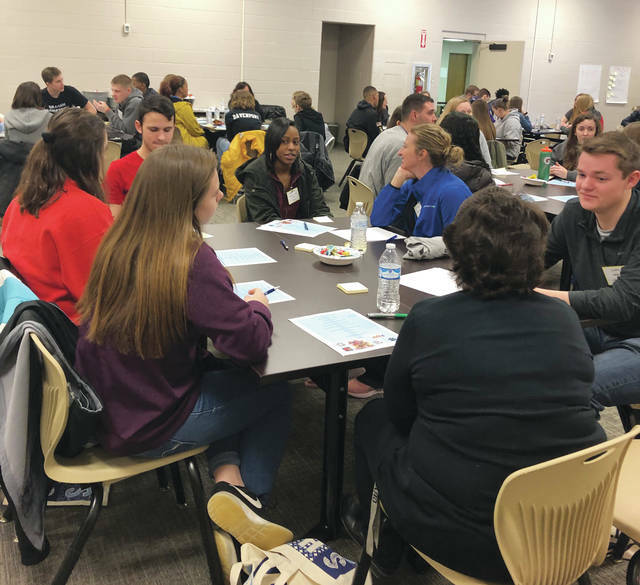 In collaboration with the Ohio Soybean Council, Madison Champaign ESC, local school districts and community business partners, students participated in team building activities that included leadership development and global challenge engagement. High school students from Graham, Mechanicsburg, West Liberty-Salem, Triad and the Academy of Urban Scholars, Columbus, attended. Students had the opportunity to work with community partners, learn about countywide service learning initiatives, compete in an egg drop competition with Ohio Soybean Council staff members, and work with team members to solve a global challenge that included energy conservation and efficiency. Sponsors included Weidmann, employees of Honeywell, Champaign Residential Services, Ohio Soybean Council, Champaign Economic Partnership, and the Champaign County Chamber of Commerce. Submitted by Graham Director of Student Services Emily Smith.